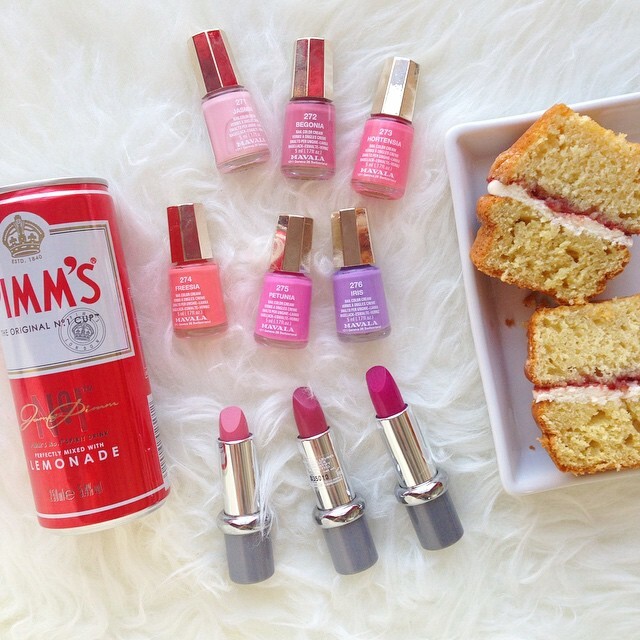 The sun has finally started shinning here in London so I was very excited when I received a set of the most beautiful spring nail polishes, lipsticks, cake and Pimms- what more could I have asked for in the sunshine? These six polishes make up Mavala’s Spring Garden Party collection, which I instantly fell in love with. 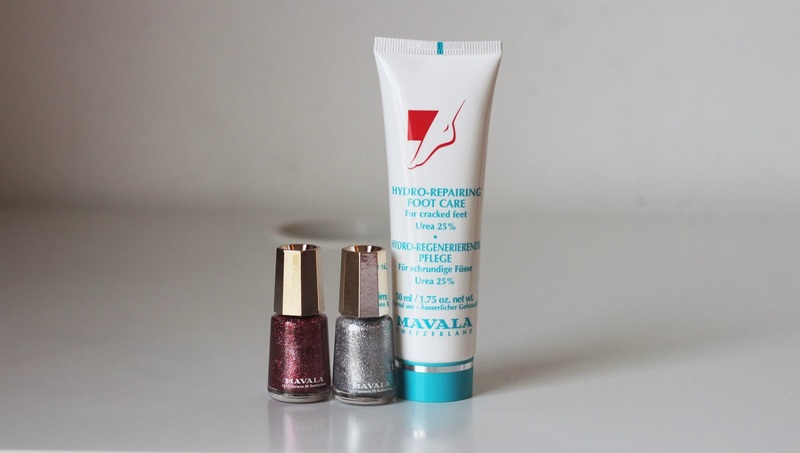 I think Mavala polishes are great quality but I also love that they’re inexpensive and although the bottles are quite small, I never finish a nail polish so it is more than enough- it also means I can have more of them as they take up less space! I also wore Freesia for the most part last week and it’s a really great summer colour, even quite tan enhancing. 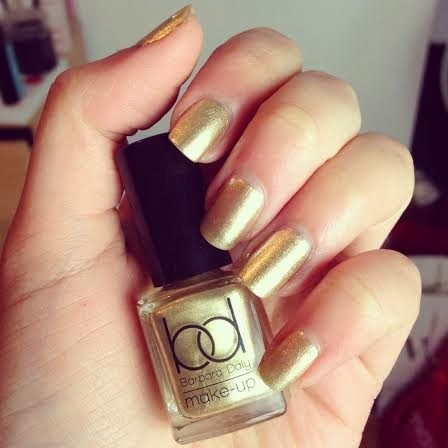 It applied beautifully to the nails, dried quickly and wore really well, with no chips or even tip wear for over four days. I haven’t had a chance to try the lipsticks yet but the colours are beautiful, shame the packaging isn’t quite as ascetically pleasing. Mavala is available from John Lewis, Look Fantastic and Feel Unique. The new Mavala Spring Nail Polish collection is made up of vibrant, vivid colours and made up of six different shades from whites to dark emerald greens. 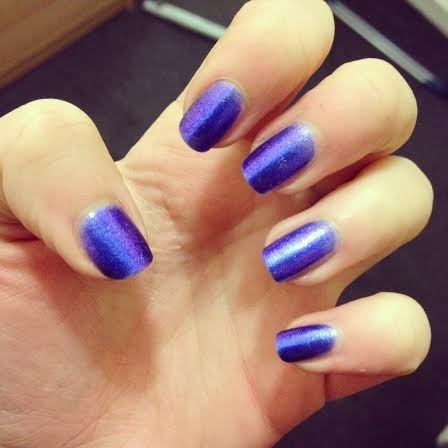 My personal favourite is Cobalt Blue as it is the only one to have no shimmer. They all apply beautifully and opaque after just two coats however I still found this collection to be a little less appealing than other spring ones I have seen. Although I love the Cobalt Blue and find the Dark Emerald Green (Black night) to be beautiful I am currently still loving pastels. I’m sure I will reach for Black Night in the Autumn and Winter but until I think other than Cobalt Blue they may sit a little unloved. I feel the shimmer makes them feel a little dated to me but I am sure some of you will love them and if there is a particular colour you like then they are great quality polishes to have. Black Night, Cobalt Blue, Arty Pink, Orange Fusion, Cyber Yellow and Antarctic. Which shade has caught your eye? This week I think we got a good mixture of nail art and colours. I’d love to see what you guys have created recently especially if they were inspired by any of my designs. 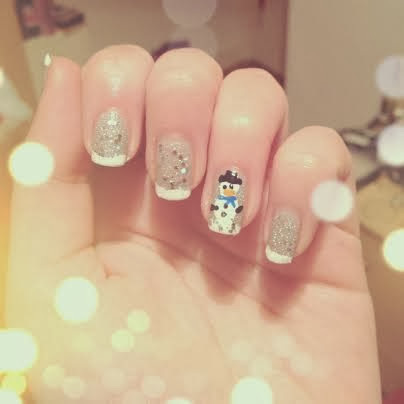 Today marks the second instalment of my Manicure Monday 24 Christmas Nails round up (see part one here) and have really enjoyed posting a different nail everyday although it’s beginning to get a little extra challenging to think of ideas! 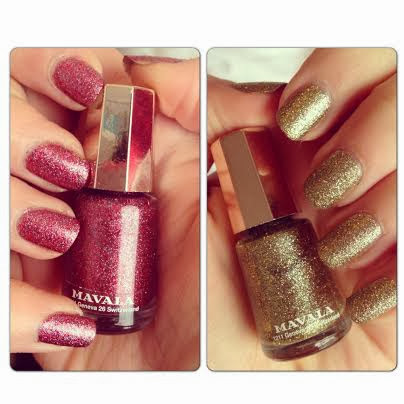 I love these two Mavala polishes as they are a very dense small glitter polish which doesn’t need a coloured base coat and looks very festive. Applied really well and there is a nice selection of colours in the range. Not at all Christmasy but a nice autumb/winter colour. I love the packaging and the skull on the top, the colour is a beautiful dark grey with a coppery red shimmer running through it. It’s actually unlike other colour I own and I like it far more than I expected to. 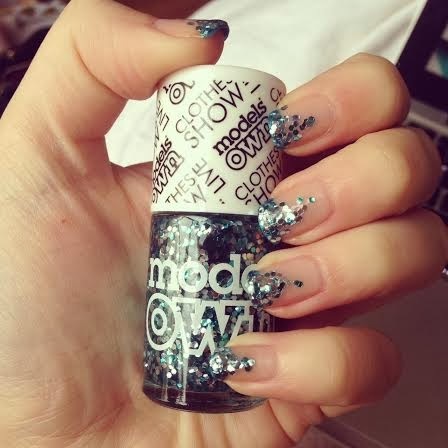 This is actually a Limited edition shade to the Clothes Show Live which was on last weekend, I didn’t want to simply do a normal glitter all over the nail so I went for tips. This glitter isn’t my favourite and is a little too chunky for this kind of look but the colour is beautiful. The most perfect festive red. 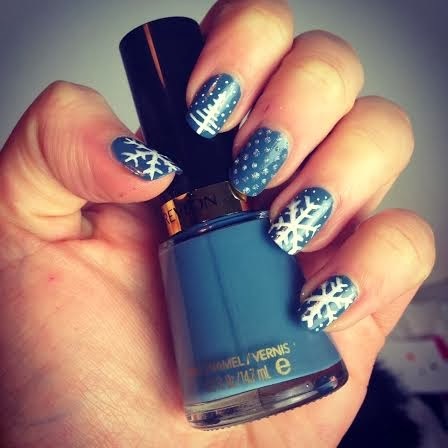 I had seen something similar to this on Pinterest so I decide to use Butter London Giddy Kipper and Cotton Buds to create this look which almost looks like snow falling. 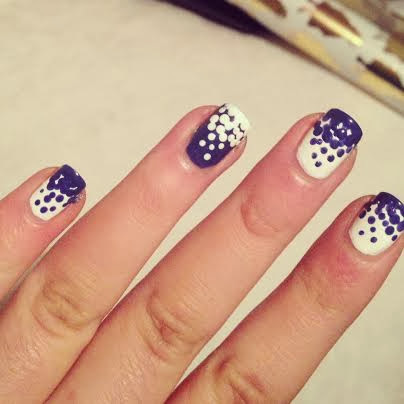 Another go at nail art, not as successful as I had hoped but you can see where I was going with the idea. Sadly my snowman looks a little like a duck. 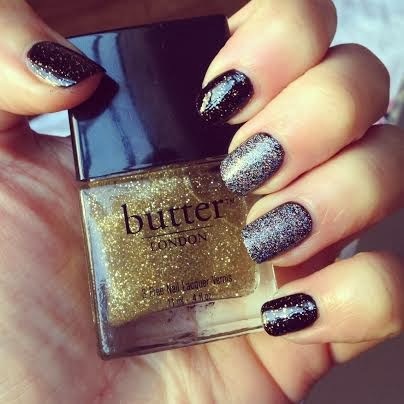 I often find it hard to pick between gold and silver so I went for butter London Stardust and Stratford Honey over a glossy black and I think they actually work quite well together. What day was your favourite? 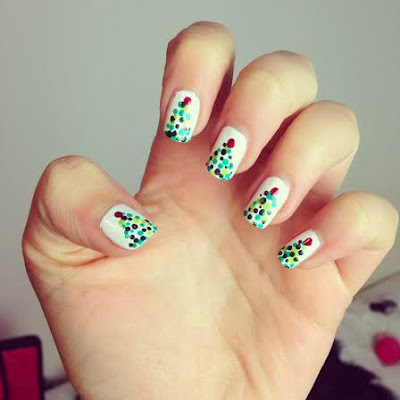 Do you have any nail art ideas? 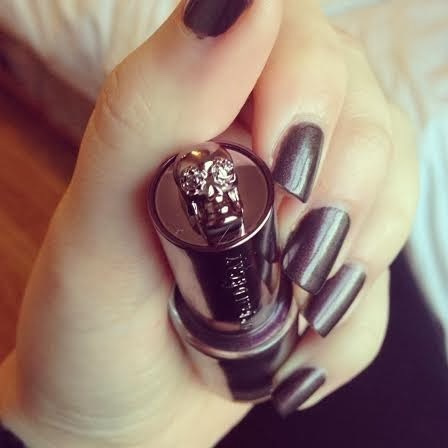 I’ve mentioned Mavala polishes a few time before. I love their size and their prize, I think they’re just perfect if you want to experiment with polishes and are unlikely to ever finish a bigger one. Their jewel collection is made up of 6 beautiful glitter shades which I have simply fallen in love with and have featured on my Instagram today as part of my 24 Days of Christmas Nails. 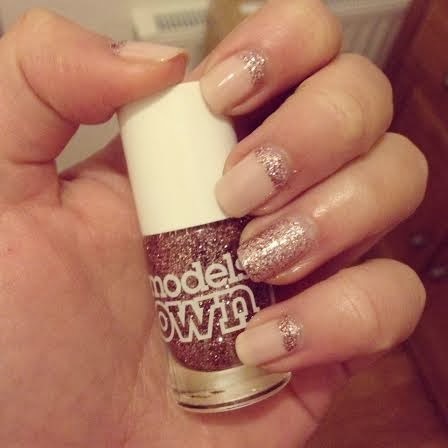 They are made up of fine glitter meaning the finish is extra sparkly and you can actually wear them on their own. 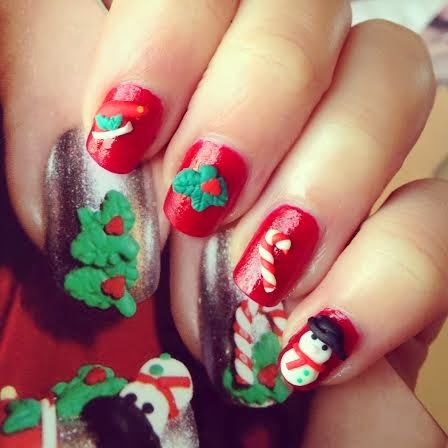 They are absolutely stunning and I’d wear them everyday until Christmas if I could! I’m giving you the chance to win two nail polishes from the Jewel Collection today in Diamond Powder and Ruby Dust as well as a Mavala Foot Cream. To be in with a chance to win follow the instructions within the Rafflecopter below. UK Only.